Pica is craving substances with little or no nutritional value. 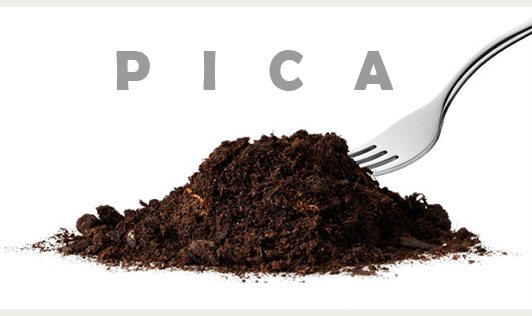 Most pregnancy and pica related cravings involve non-food substances such as dirt or chalk. According to the Journal of American Dietetic Association there may be a connection to an iron deficiency. Sometimes pica cravings may be related to an underlying physical or mental illness. The most common substances craved during pregnancy are dirt and clay. IS THE BABY UNDER RISK? Eating non-food substances is potentially harmful to both you and your baby. Eating non-food substances may interfere with the nutrient absorption of healthy food substances and actually cause a deficiency. The most important thing to do is to inform your doctor about your cravings.